The Bison men’s volleyball team kept their playoff dreams alive while the women’s team split their weekend series as the UBC Okanagan Heat visited Investors Group Athletic Centre on Jan. 31 and Feb. 1. The Bisons schooled the Heat on Friday. In the women’s game, Rachel Cockrell and Taylor Pischke both had 10 kills as the Bisons made mincemeat of their visitors in straight sets 3-0 (26-24, 25-17, 25-21). The Heat proved to be a threat in the first set, as they had the first shot at set point. The Bisons rallied with Crystal Mulder following up a Rachel Cockrell kill with a set-clinching service ace. From there, the Bisons rolled forward and only trailed the Heat twice through the remainder of the match. 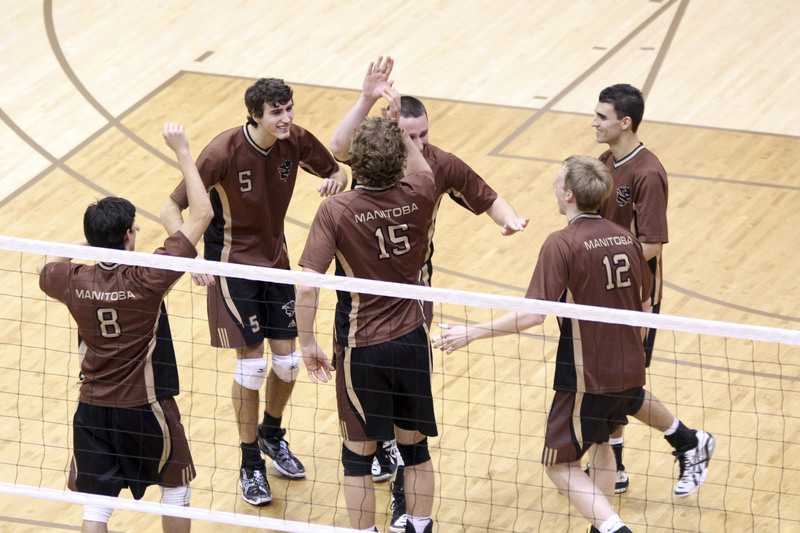 The following day was a completely different result, as UBCO dominated the first two sets. Manitoba would rally to force a decisive fifth set, but the Heat would capitalize on seven Bison attack errors and hold on for the win. Three Heat players finished the match with double-digit kills. With the split, Manitoba and UBCO remain tied for fourth in the Canada West standings with identical records of 12-8. Meanwhile, the Bison men’s volleyball players know they need to essentially win out this season to make the playoffs, and they took a huge step towards that goal with a pair of dominating wins over UBCO. On Friday, the Bison men followed up the women’s straight-set victory with a straight-set victory of their own, 3-0 (25-19, 25-21, 25-22). Adam DeJonckheere and Devren Dear were the dominant attackers for Manitoba, finishing with 13 and 11 kills respectively, while Kevin Falconer had nine digs as the Bisons took it to the Heat all night long. The next game proved to be another showcase for DeJonckheere and Dear, as they again led the Bison attack. DeJonckheere led all players with 19 kills, while Dear had 17 kills and eight digs. The Heat provided a bigger challenge for Manitoba on the day, as the teams battled for control of the match. The Bisons took the first set handily, but couldn’t take the second despite a late lead. In the third, the Bisons showed their composure and came back after allowing UBCO to jump out to an early lead in the crucial set. After taking the third set 26-24, the Bisons built on the momentum in the fourth set and clinched the match 3-1 (25-13, 23-25, 26-24, 25-19). After the wins, the Bisons find themselves in a four-way tie for the final playoff spot in the Canada West conference. They will need some help from other teams in the standings, but coach Johnson believes in his team’s ability. The Canada West volleyball regular seasons will wrap up this weekend. 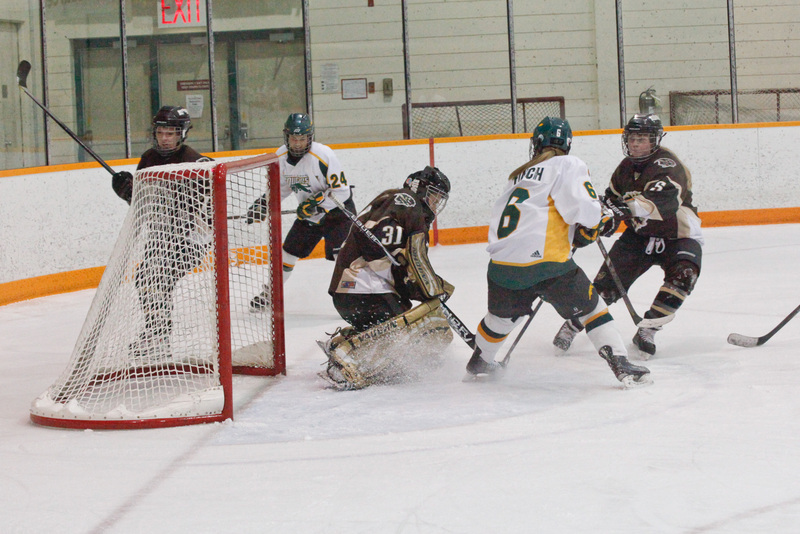 The Bisons will travel to Kamloops to play Thompson Rivers on Feb. 7 and 8.